Ohio’s attempt to prohibit hemp derived CBD runs afoul of federal law. In this post I will explore an emerging issue, namely, whether or not a state can criminalize the sale and use of hemp and hemp products such as cannabidiol (CBD). Before I answer that question I need to qualify that a state’s department of health can probably restrict (or at least strenuously regulate) sales of hemp derived CBD. That is exactly what is occurring in California, where the CA Department of Public Health (CDPH) has based its restrictive position of hemp derived CBD on the FDA’s position that it is prohibited to introduce into interstate commerce any food (including any animal food or feed) to which CBD has been added. The FDA’s position, and how its position interacts with positions taken by state public health agencies, is a complicated and evolving issue. I recently wrote about it here and here. Today’s post is not about regulatory restrictions, the FDA, or the CDPH. It is about whether states can criminalize hemp and hemp derived CBD and, as a corollary, whether law enforcement agencies can take action based on state laws that were in effect prior to enactment of the Agricultural Improvement Act of 2018 (Farm Bill). This is a complicated issue. I will address it through the lens of Ohio, because there have been recent attempts by law enforcement in the state to enforce Ohio’s drug laws against sellers of hemp derived CBD products. Specifically, with respect to hemp derived CBD, law enforcement in Ohio has recently attempted to enforce the state’s prohibition on marijuana that is sold or consumed outside the scope of its medical marijuana program. When pressed on the issue, law enforcement has relied on a document issued by the Ohio Board of Pharmacy (BOP) called The “Clarification on Cannabidiol (CBD) Oil“, which you can read below. Although the document was strangely not dated, it appears to have been issued prior to enactment of the Farm Bill, which broadly legalized hemp and hemp derived cannabinoids across the country. When writing the document, the BOP clearly did not anticipate the effect that the Farm Bill would have on hemp products such as CBD. The complication arises from the fact that hemp and cannabinoids derived from it (such as CBD) are lawful under federal law but not under Ohio state law except within the confines of its medical marijuana program (HB 523). Ohio does not distinguish between cannabis that is “marijuana” and cannabis that is “hemp”. Currently, it’s all the same under Ohio law. However, the Farm Bill does make this distinction: marijuana is illegal cannabis and hemp is legal cannabis. The issue is how these two conflicting laws interact. Nothing in this title or an amendment made by this title prohibits the interstate commerce of hemp (as defined in section 297A of the Agricultural Marketing Act of 1946 (as added by section 10113)) or hemp products. (b)Transportation of hemp and hemp products. No State or Indian Tribe shall prohibit the transportation or shipment of hemp or hemp products produced in accordance with subtitle G of the Agricultural Marketing Act of 1946 (as added by section 10113) through the State or the territory of the Indian Tribe, as applicable. Generally speaking, when federal and state laws clash the state law falls. This is called “preemption”. For this reason, the BOP’s prohibition on hemp derived CBD appears to be invalid, as is any attempt for law enforcement to enforce the prohibition. I will note that there is an argument to be made that Ohio’s medical marijuana program, while limited in scope, does allow for the sale of CBD and, for this reason, the State is not technically in violation of the federal prohibition on interfering with transportation and commerce of hemp and hemp products. This argument is weak. In order for a State to control hemp and hemp products within its borders it must submit a proposed regulatory plan to the USDA and have the plan approved. Ohio has not submitted a plan, much less had one approved. It is unlikely that its medical marijuana program, which is federally illegal, would be approved if submitted. The Farm Bill specifically exempts hemp derived CBD from federal drug abuse control laws (ie, the Controlled Substances Act). My guess is that this statutory provision was enacted in response to (or anticipation of) the CBD medication Epidiolex being approved by the FDA. However, its language makes clear that when CBD is exempted from federal drug laws it is also exempted from Ohio’s drug laws. For this reason, hemp derived CBD is not an illegal substance in Ohio. This is all very new and I’m not intentionally picking on Ohio. My clients and I have seen similar issues in other states, such as Florida and Iowa. There is a significant amount of misunderstanding and a lot of unresolved issues that are arising out of enactment of the Farm Bill. No one can guarantee that sellers of hemp products will not be hassled in Ohio (and other states) and subjected to law enforcement action, regardless of the state of the law. Even without ORC ANN. 3719.41 (above) hemp derived CBD is lawful in Ohio based on the Farm Bill’s explicit prohibition of state interference with transportation and commerce of hemp and hemp products. However, tying the Farm Bill to this Ohio law regarding CBD makes it clear that hemp derived CBD is lawful in Ohio. Let’s hope that it gets the message soon. 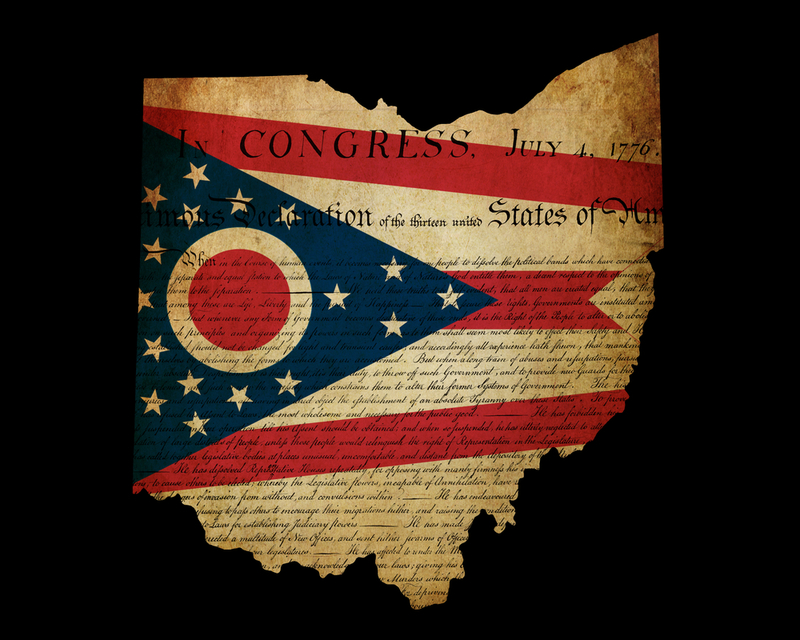 With all the problems Ohio is facing, why would they allocate resources to fight the issue of CBD legalization, especially given that the Federal Government made it ‘the law of the land’ that Hemp-derived CBD is legal across the country. It’s a natural remedy for a bunch of things. I don’t get it. Thanks for your comment, Tom. I agree and think it’s mostly a lack of education on the issue. Thanks for the article. I can’t find 3719.41 SCHEDULE V (D) in Ohio’s controlled substance schedules (http://codes.ohio.gov/orc/3719.41). Where did you find the amendment? Thanks, Sam. I use Lexis for most of my legal research and it appears there. I did notice after receiving your comment that it doesn’t appear in many of the standard Google searches for the statute. I would share the Lexis link, but it’s behind a pay wall and so I cannot.